Chicago – President Obama, inside the Chicago campaign headquarters the next morning after his 2012 election win, The moment, captured by the Obama campaign’s cameras and posted online, offers a rare glimpse at the president unplugged and emotional. 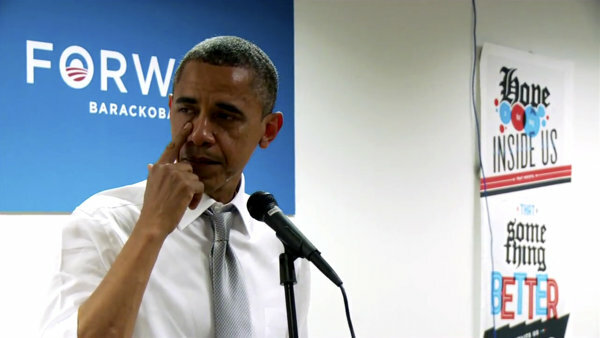 During the first four years of his presidency, Obama has never been seen publicly crying. “So when I come here and I look at all of you, what comes to mind is, it’s not that you guys remind me of myself, it’s the fact that you are so much better than I was in so many ways. You’re smarter, you’re so better organized, you’re more effective,” he said.